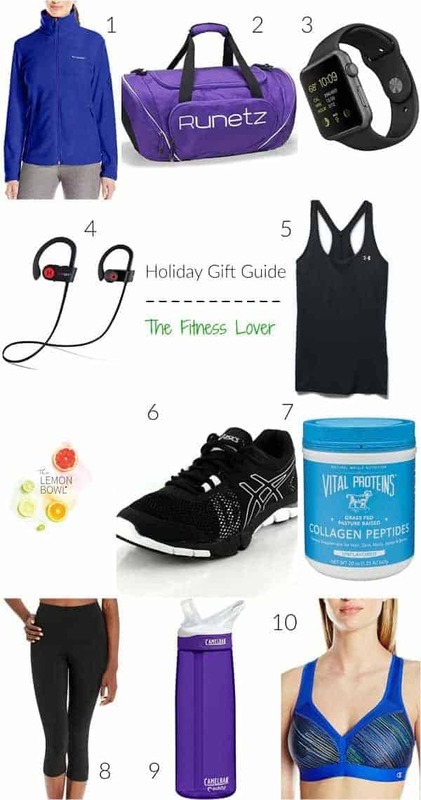 The ultimate gift guide for all of the fitness lovers, gym rats and yogis in your life! While I don’t always love to exercise, I am committed to long term health which is why I hit the gym religiously about 5-6 days a week. Not only is it essential for my long term weight loss success but it is hugely important for my mental health and sanity! 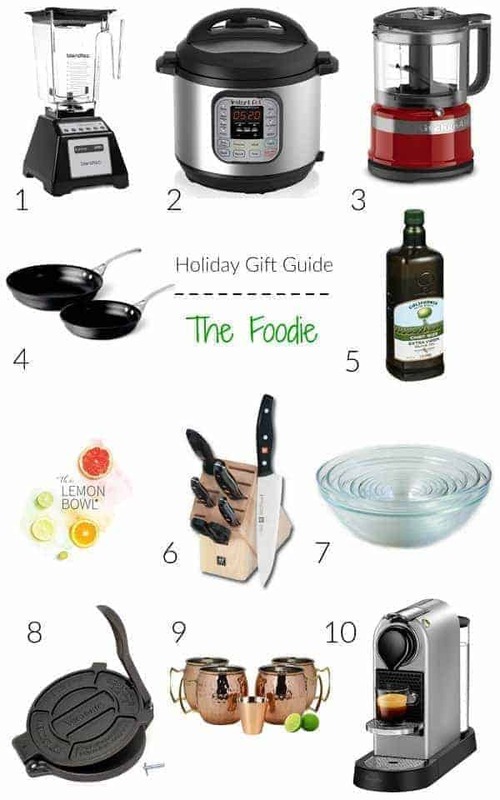 Whether you’re a gym rat like me or know someone who wants to get healthier in the new year, here are my top 10 products which will make it easier for them to reach their goals. Columbia Women’s Fast Trek Full-Zip Fleece Jacket: As much as I love my fitness classes at the gym, I much prefer breaking a sweat in the great outdoors. This fleece jacket is the perfect weight for keeping me warm during a hike in a cooler climate. Runetz Gym Bag Short Shoulder Bag: With a separate compartment for your gym shoes and plenty of space to pack a change of clothes, this gym bag fits everything you need before and after your workout. Apple 42mm Smart Watch: Nothing motivates me more when I exercise than seeing how many calories I’m burning in real time! The heart rate feature is also hugely helpful and informative. When I’m not at the gym, it tracks my steps and gives me a subtle reminder to stand up once an hour. Waterproof Sweatproof Wireless Earbuds for Running and Exercising: If you got the new iPhone like I did, you probably noticed your old headphone jack is no longer! These wireless earbuds are a must for pumping your favorite tunes or listening to your favorite podcast. Under Armour Women’s HeatGear Armour Racer Tank: One can never have too many lightweight, breathable racer tanks for the gym, am I right? This is one of my favorite go-to tops and it’s less than $25. ASICS Women’s Gel-Craze Cross Trainer Shoe: If you’re looking for a cross trainer shoe that you can wear from kickboxing to weight lifting and everything in between, these Asics will not disappoint! In fact, I usually just re-buy the same pair every year or so. Vital Proteins Pasture-Raised, Grass Fed Collagen Peptides: Earlier this month I started taking these collagen supplements and I can already see improvements in my hair, nails and digestion. Low in calorie and high in protein, it’s delicious blended into smoothies! High-Rise Compression Crops for Women: I wear these pants almost daily at the gym for two main reasons: they don’t slip during my workout and they are sweat resistant. The compression feature doesn’t hurt either. CamelBak eddy .75L Water Bottle: Keeping a water bottle next to me is essential for my health. This bottle remains one of my favorites because it doesn’t leak at all. Champion Women’s Curvy Sports Bra: When it comes to support during a high intensity workout, this sports bra does the trick. It comes in a wide variety of colors as well. What are your must-haves for the gym or keeping in shape? I’d love to hear your ideas! Happy Holidays! 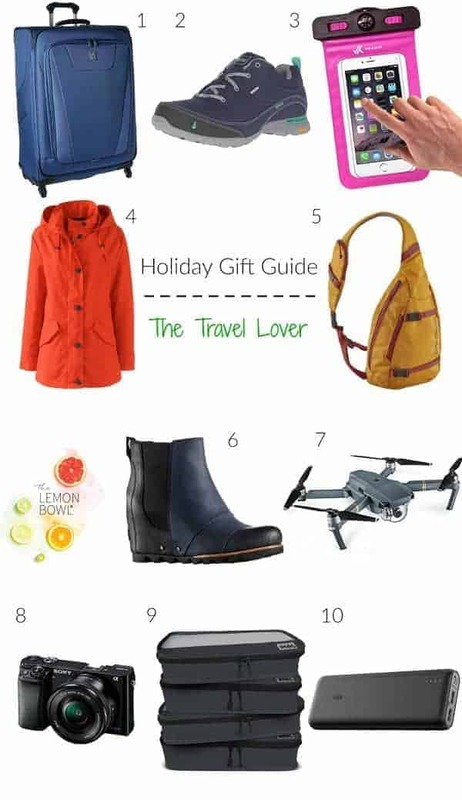 This post contains affiliate links and I make a small commission off any items you purchase at no additional cost to you.